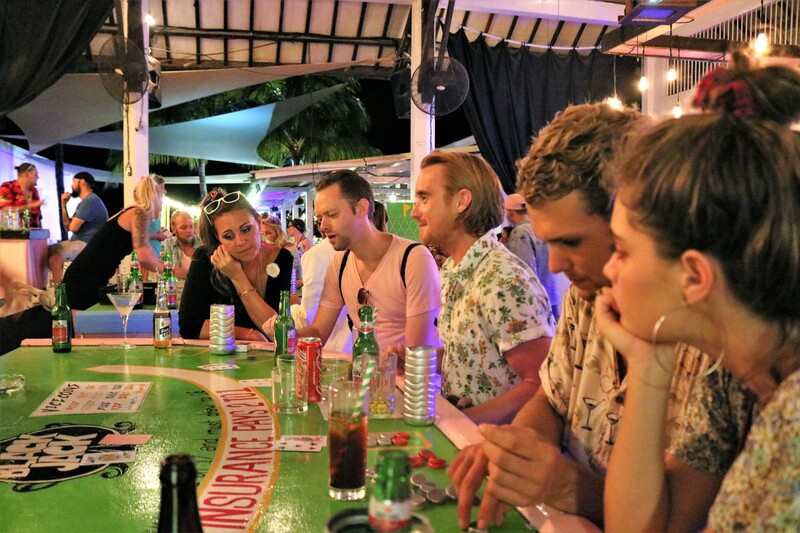 The third Casino on Gili Trawangan was dealt on Monday 27th November. Now we are finally over the headaches from those wonderful espresso martinis and washed away all the glam and glitter, we have managed to count the chips and winnings to find out Tir Na Nog latest island fundraiser managed to raise an incredible 101,650,000. As much as people don’t need any excuse to gamble, giggle, drink and win some fantastic prizes, it was all for some really worthwhile causes. The funds were split 50-50 with The Gili Eco Trust and another great charity, The Classroom Of Hope. Gili Eco Trust are continuing to tackle, educate and improve on all things environmental on Trawangan. From rebuilding damaged coral reefs to dealing with the waste and rubbish problem the island is facing. Why will we spend this donation crushing glass? With a dramatic increase in drink and partying culture in the last 5 years, we are inundated with glass waste. This is a material that doesn’t ever degrade, shrink or break down in size, so causing the dump to continuously grow with this single use product. Since 2013 we have been experimenting with different methods to recycle and upcycle glass bottles and glass waste we find on the dump. The two main methods we have stuck with are ‘repurposing of single use glass bottles to useable items such as glasses, lamps and ashtrays’ and ‘crushing glass into sand to build Gili out of the waste’. This unique brick production method means we can utilize 100% of glass waste created on Gili directly on Gili whilst creating a hardy, long lasting construction material on Gili, to build Gili directly out of the waste created. Whilst we still currently have one working glass crushing machine situated at the back of the island dump in our modest little concrete hut, the conditions are extreme and it needs constant maintenance and repair. Right now we are running our current machine full time and each day can crush up to 100 – 200 baskets of bottles (approx 7,500 bottles a day) with routine breaks to cool the machine down. Seems impressive? We still need to crush more! With this new machine, we aim to increase the efficiency and total amount of bottles crushed. With two machines instead of one, we can increase the life of the older machine by using each on alternate days to give them a break especially when regular maintenance is needed. When we have a huge order of bricks to do in a short period of time, we can now have two machines running at full capacity to get orders out quicker and to make customers even more happy with their decision to build more consciously and environmentally friendly, whilst dramatically reducing the amount of glass trash ending up at the dump. Why do we crush glass? Our crushed glass makes a fine sandy aggregate that, when mixed with regular cement powder and fresh water, can be put into molds to make strong heavy construction bricks. We invest a little more into these bricks than regular ones built on Gili that use just the brackish well water, this means our fresh water bricks have a longer stronger life and are so durable they can be used for foundations, swimming pools and up to 2 storey buildings. However, these bricks we sell at 3,500rp per brick, cheaper than a Gili brick but this gives the incentive for more people to switch to ‘eco’ glass bricks to impact the environment whilst building and developing on Gili. The money raised from these bricks goes to the salaries of the brick maker and the glass collectors on Gili Trawangan’s infamous dump, and until now towards the maintenance of our old hardworking machine. You can come and see the glass crushing and brick making process for yourself! We run short 1.5 hour long Recycle tours where you can explore all of our environmental projects and even help build some bricks yourself! If you are reading this there is a chance you have a business on Gili Trawangan. If you would like to sign up to start separating your glass rubbish so we don’t spend as much time collecting it at the dump then please contact us so we can provide you with refuse sacks and we can pick up full bags of glass for FREE! A huge thanks again to Tir Na Nog for setting up another very successful and fun Casino Night, to all the volunteers who spent the night dealing cards, counters and chips and to all of the businesses who helped make it a success by donating prizes around the island, and of course a huge thanks if you came by and played on the night, we hope you won as valuable prizes as we did with a new glass crusher to try to save Gili Trawangan from drowning in boozy rubbish!